iComex understands that Social media is the collective of online communications channel dedicated to community-based input, interaction, content-sharing and collaboration. Leading examples of various Social Media platforms include Facebook, Twitter, Instagram, Foursquare, LinkedIn, YouTube and Vimeo accounts, and many more, can be used to interact with others. Social media has become an integral part of life online as social websites, internet-connected mobile devices and applications proliferate. Most traditional online media outlets like news sites now include social components, such as comment fields for users and sharing tools. In business, social media is now used to market products, promote brands, connect to current customers and engage new business prospects. 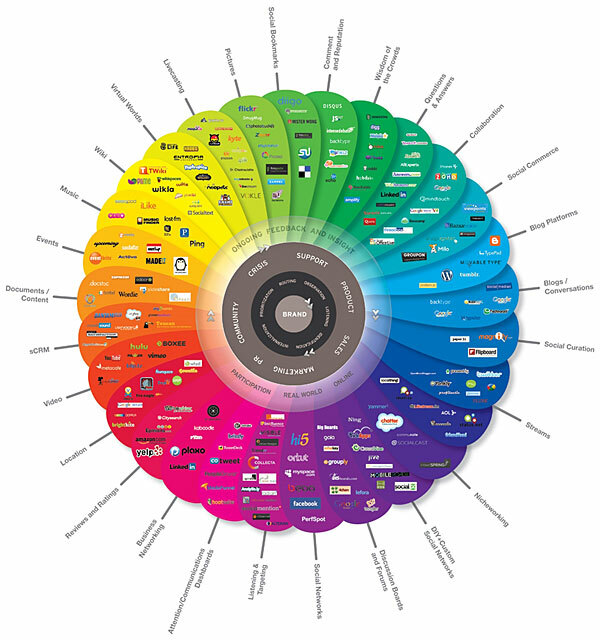 Brian Solis created the following social media chart, known as the conversation prism, to categorize social sites and services into various types of social media. Click below to see a larger image. From your client’s perspective, social media sites makes it very easy to tell you, and everyone else, about their experiences with your company or organization -- whether those experiences were good or bad. You also have the opportunity to respond very quickly to both positive and negative feedback, attend to your customer's problems and maintain, regain or rebuild your customer's confidence. 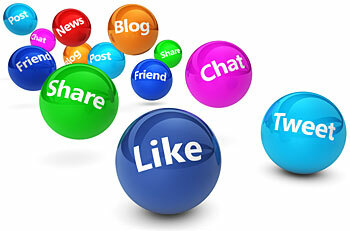 Please explore both offerings to see how iComEx can help you succeed with social media.